With so many diet fads and this diet approach or that diet approach going around, it’s often hard to decide which diet you should consider. Some diets count calories, others count fat or carbs. What’s the best solution when everything is so confusing? The best plan is to get back to basics and eat a balanced meal plan. The truth is, your body has to have protein, carbs and fat to be healthy. Cutting any one of them out can lead to poor health down the road. You may feel better, in the early stages, but as your body tries to function over time without the necessary nutrients it needs, you will start to feel poorly again. Let’s break down what each component does for your body and then cover some basic tips for eating better. I will not get all scientific in the descriptions. I will keep it simple. Protein – Protein is found in every cell of your body. Not just some cells, but in all of them. It’s absolutely necessary for your bones, muscles, skin, hair and nails. Animal proteins, such as those derived from chicken or fresh fish are a complete protein, which means they supply the amino acids your body can’t produce on its own. Other sources of protein include beans and legumes, nuts and seeds. Protein deficiency leads to muscle loss, bone loss, low calcium absorption, fractures and osteoporosis. As you can see, it’s very important to have some protein every day. and the elimination of wastes from your body. Clearly you need to have some carbs in your diet. So, what’s up with all the low carb diets? A good low carb diet does not completely remove carbs from the eating plan. It simply allows for better carb choices, which I’ll cover in the section for better eating habits. Fats – Fats come in two varieties, good fats and bad fats. You want to consume more good fats and less bad fats. Fat plays many roles in the body, but one of the most important is to help you absorb nutrients, especially the fat soluble vitamins like A, D, E, and K. Fats are good for your hair and skin, but it also gives you essential fatty acids. These are fatty acids that your body can’t produce on its own, so you need to consume some healthy fats for this to happen. So, how do you balance all of this and make better choices? The best way is to design your own eating plan. You may have to work with it over time. It’s not set in stone. Each day you should consume some protein, some carbs and some healthy fats. For your protein choices, have a little bit of red meat, but not too much. Try to eat more fish and poultry. Nuts, seeds and beans also supply some protein. For your carb choices, and this is an area that people really need to improve, is simply eat better carbs. Stop eating processed carbs; cakes, breads, cookies, etc. Eat more beans, nuts and vegetables—food that grows naturally. Also consider this, can the food be eaten raw? If it’s grown in the ground and could be eaten straight from the garden, it’s a good choice. I’m not saying you have to eat your fruits and vegetables raw, but you could. Fats. This one is another tricky area because there are so many bad fats in almost everything we eat. But the truth is, the majority of bad fats are in processed foods. Good fats come from real food. Like I mentioned about carbs, fats fall right in line. Good fat choices include nuts, seeds, avocados, etc. You’ll also get some fat from your protein sources. If you’ve tried every diet craze and nothing has worked, maybe it’s time for a whole lifestyle change and a healthy eating plan that comes straight from nature. The best way to shop for this diet is to avoid the aisles in the grocery store and buy your food from the meat, cheese and produce sections. When you hear of a disease named after a certain sporting activity – tennis elbow or runner’s knee for instance – you naturally tend to think that people who do those sports like crazy are the only ones who are affected. Of course, the truth of the matter is, these conditions are named this way for no particular reason. While runners knee is something that runners are often afflicted with, any kind of athlete who uses their legs – i.e. a cyclist, pole vaulter, boxer or even a weight lifter can be struck down by the ailment just as easily. In fact, runners knee isn’t actually one specific condition , it’s a term that doctors use loosely to describe any of a set of problems that occur in the kneecaps. For instance, any kind of athletic activity that requires you to bend your knee and straighten it repeatedly can bring the condition on. Doing that can rub the nerves the wrong way. Sometimes, the tendons that connect your muscles to the bones around the knees can get injured with repeated bending. And about half the time, overworked and inflamed tendons act up in such a way that you experience quite a bit of pain. 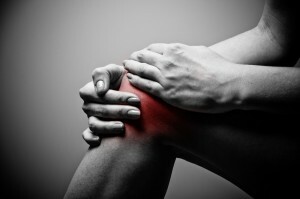 In some people, simply to fall hard on their knees can cause the kind of nerve or tendon injury that overuse can cause. Not good! Runner’s knee can feel really painful. You experience a serious pain around the kneecap – most pointedly where the thigh bone meets the kneecap. You can also feel a grinding and popping sensation in the knee and there is usually a good bit of pain when you climb stairs or when you try to walk or sit. Your doctor can give you an MRI or an x-ray or CT scan to diagnose you. While all of this does sound kind of scary, the good news is that it can be relatively straightforward to treat runner’s knee. Most minor cases go away with a bit of the rest and icing your knee for a half hour every day for a week or using a tight knee support. If it hurts when you sit down, you could try elevating your knee on a pillow. Athletes often take NSAIDs – painkillers like Advil – to settle the swelling and pain. Athletes often have aching joints and muscles and often pop acetaminophen in place of Advil to try to prevent the stomach problems that can be associated with some painkillers. If you have runners knee and you need to take a painkiller, doctors are usually of the opinion that Tylenol is the safest bet – providing you take no more than six tablets a day. The military also has a huge problem with runner’s knee, especially in boot camp. Recruits who show up and go through the military’s grueling series of exercises often complain of this affliction and, in fact, runners knee happens to be one of the major reasons why military recruits drop out. Researchers have found now that simple well thought-out stretching exercises can help a great deal with keeping running knee away. Exercises especially that strengthen thigh muscles and leg muscles making them stronger and more flexible make the occurrence of runner’s knee a lot less frequent.